Professor Kerri-Lee Krause is the Deputy Vice-Chancellor (Academic) and Professor of Higher Education at La Trobe University. She is an experienced senior executive who is acknowledged nationally and internationally for her contributions to higher education research, policy and practice. 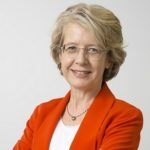 Her national leadership roles include: Deputy Chair, Higher Education Standards Panel, Board member of Higher Education Services and Chair of Universities Australia Deputy Vice-Chancellor (Academic) Committee. A member of the Australian Institute of Company Directors, Professor Krause’s international leadership in the field of higher education quality enhancement has been recognised through such appointments as international reviewer and advisor on student engagement for the Scottish Quality Assurance Agency. She also chaired the Ministerial Implementation Working Group for the Transparency of Higher Education Admissions. At La Trobe University, she provides strategic leadership to enhance the quality of learning and teaching and the student experience and she has previously led several successful university-wide curriculum transformation initiatives. As a Fellow of the international Society for Research in Higher Education she is internationally recognised for her research on the contemporary undergraduate student experience and implications for quality and standards in institutional settings. Her research expertise spans broadly across higher education policy areas, with a particular focus on the changing student experience, the evolving nature of academic work and implications for organizational renewal in higher education. Her keynote will explore the grand challenges facing learning, teaching and the student experience in Australia post-secondary education.